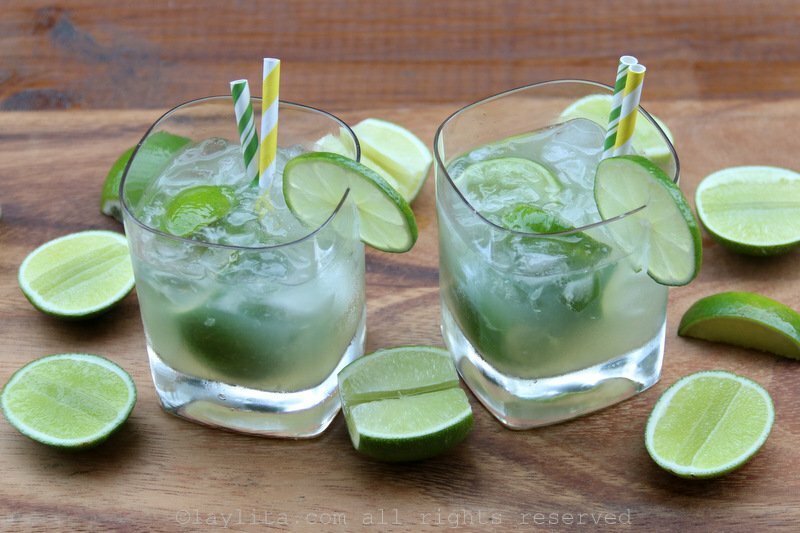 A caipirinha is a traditional Brazilian cocktail that is made with a mix of muddled limes, sugar, crushed ice, and cachaca. 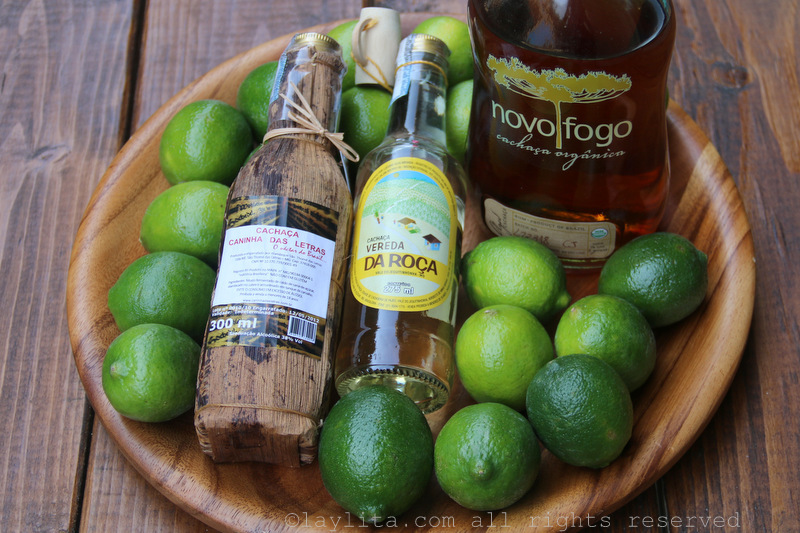 Cachaca, pronounced cachaza, is a popular Brazilian sugar cane liquor, similar to rum and aguardiente. 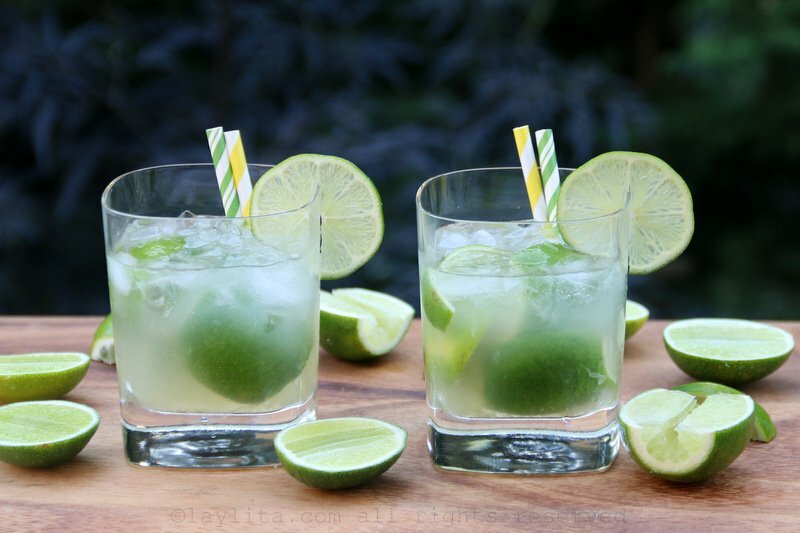 Caipirinhas are one of those drinks that are amazingly simple and easy to make, yet many restaurants/bars (outside of Brazil) tend to mess it up. Of course, when a cocktail is very simple, it does require good quality ingredients. 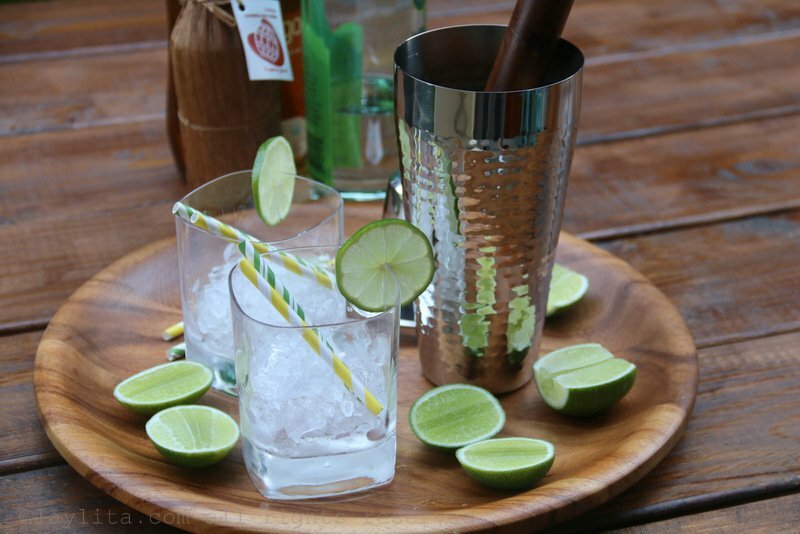 Either directly in a short glass or in a cocktail shaker, combine the lime halves or quarters with the sugar and use a muddler to gently crush and squeeze out the lime juice from the limes. Add the cachaca and lime juice, stir or shake well. 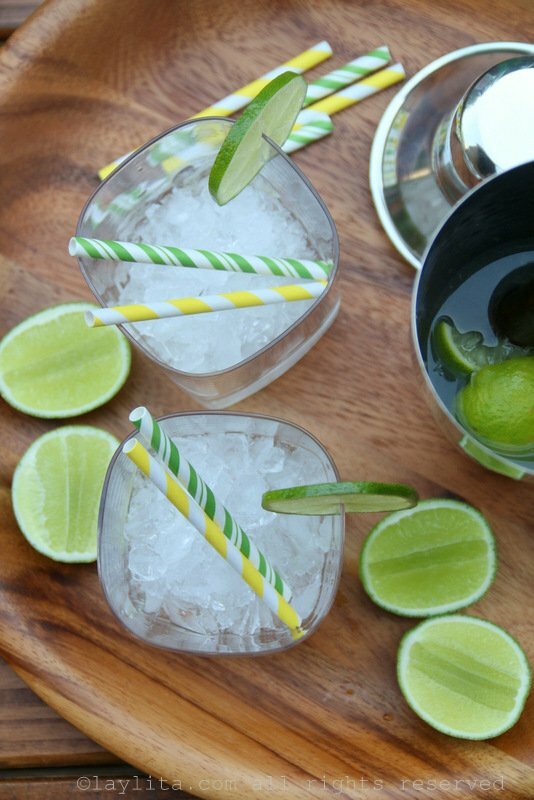 If using a cocktail shaker pour the drink, including the muddled limes, into a short glass with crushed ice. If making the drink directly in the glass, add crushed ice and stir. 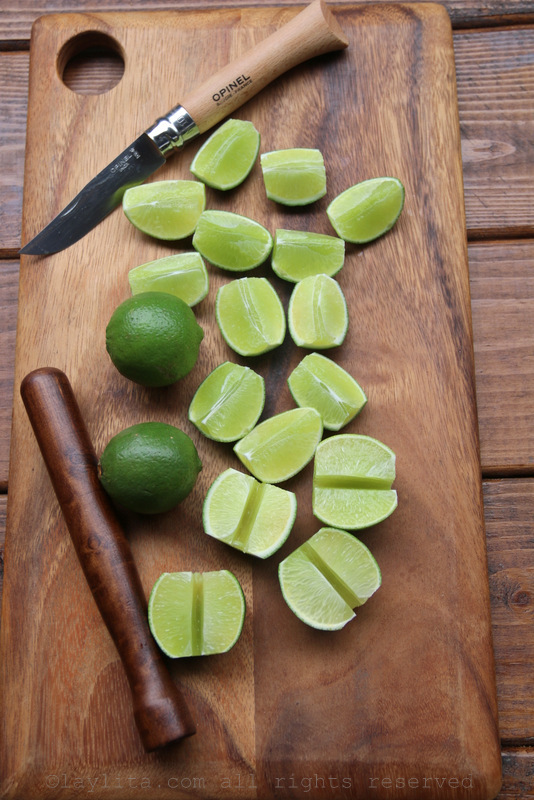 Serve immediately garnished with a lime slice. 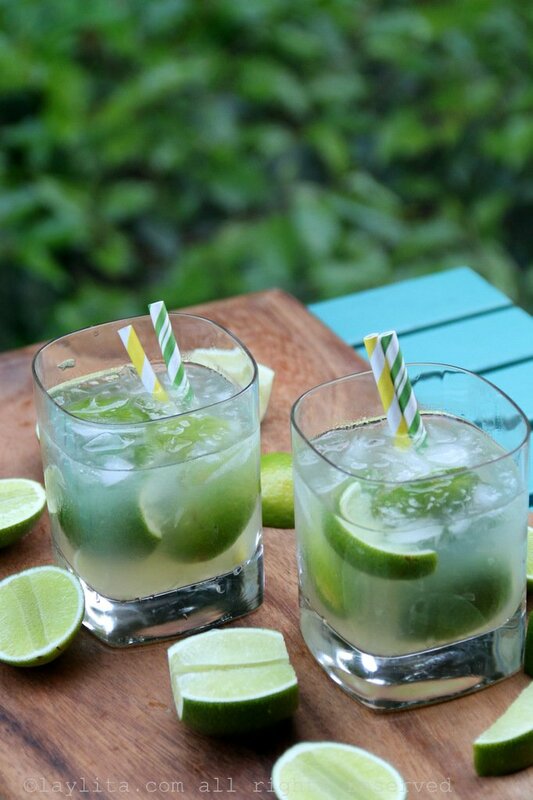 Caipiroska: uses vodka instead of cachaca. Caipisake: made with sake, the best caipisakes are usually fruity ones. 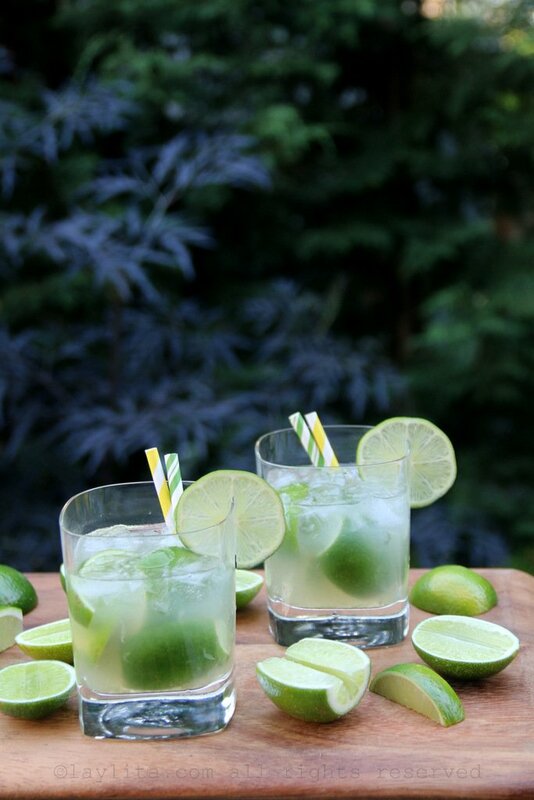 Caipirissima: replace the cachaca with rum. 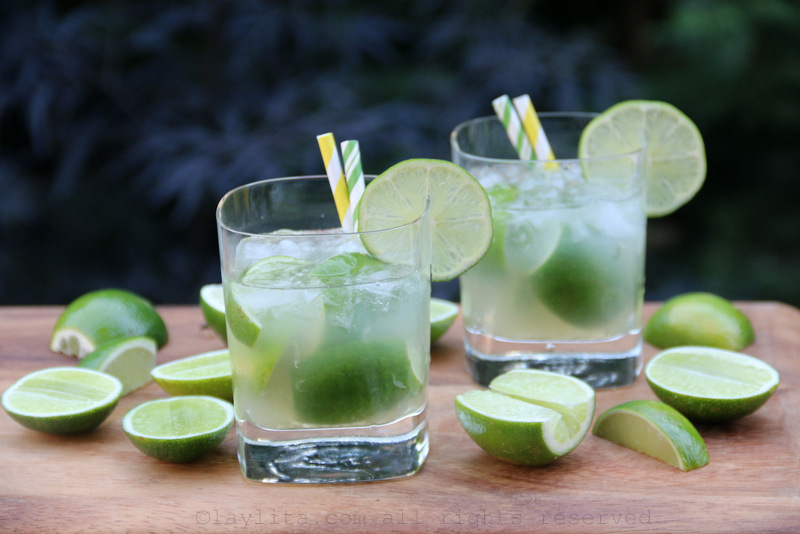 Caipimojito: make a mojito and use cachaca instead of rum. 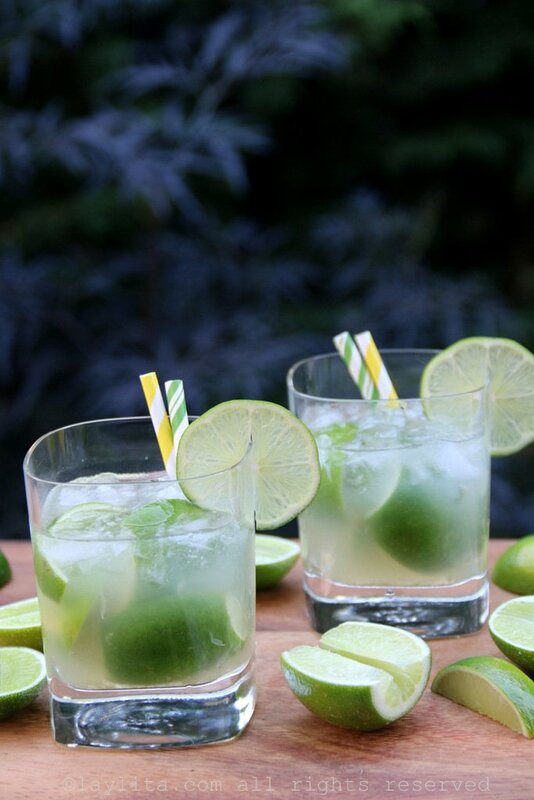 Caipirinhas are very strong, the proportion of alcohol to the rest of ingredients is quite high, and it’s a drink that needs to be sipped and enjoyed slowly. It’s one of those drinks where you know you are drinking a real drink, the benefit is that unlike some fruity drinks where you barely taste the booze –and therefore drink way too much, you know from the start that you probably shouldn’t have too many. There are also (in my opinion) certain places, like the beach, and certain meals, like feijoada (a heavy Brazilian bean dish), where caipirinhas are ideal. 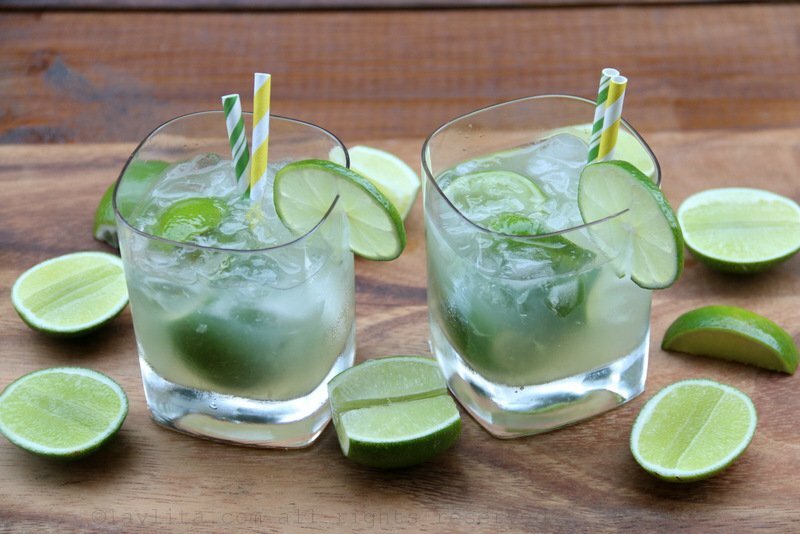 And obviously, any party to watch the Brazil World Cup is also a perfect place to enjoy a caipirinha – even more so if you haven’t had one in a while, or want to try it for the first time. 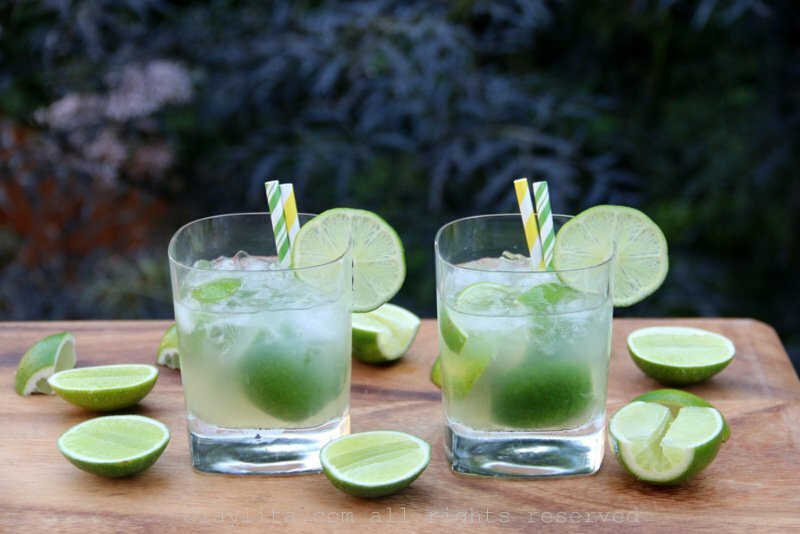 I’ve been lucky enough to visit Brazil and enjoy delicious refreshing caipirinhas there, but also worked with some awesome Brazilians at my previous job. During one of our fun work events we had a party to watch a movie and decided to make caipirinhas. 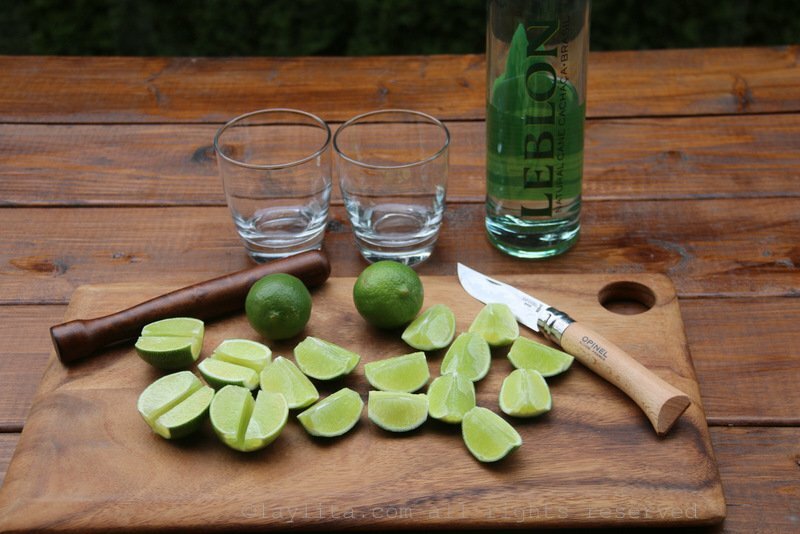 This is when I learned that I was cutting limes for caipirinhas the wrong way. 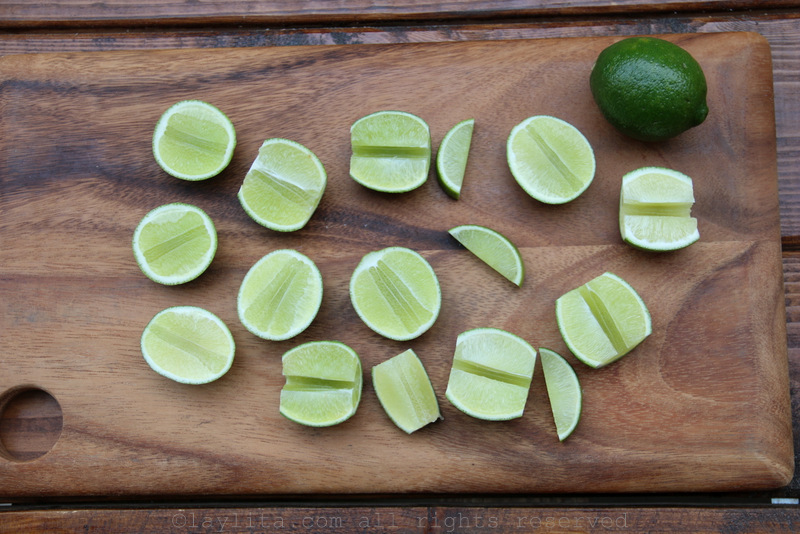 Previously I was just quartering the limes or cutting into small pieces, my friend Lu taught me that the right way was to cut them half (lengthwise), remove the pith from the middle and either use the whole half or cut it into quarters. I also found that if I cut the lime lengthwise, but before the center I could avoid the pith entirely, and also get additional small long slices. 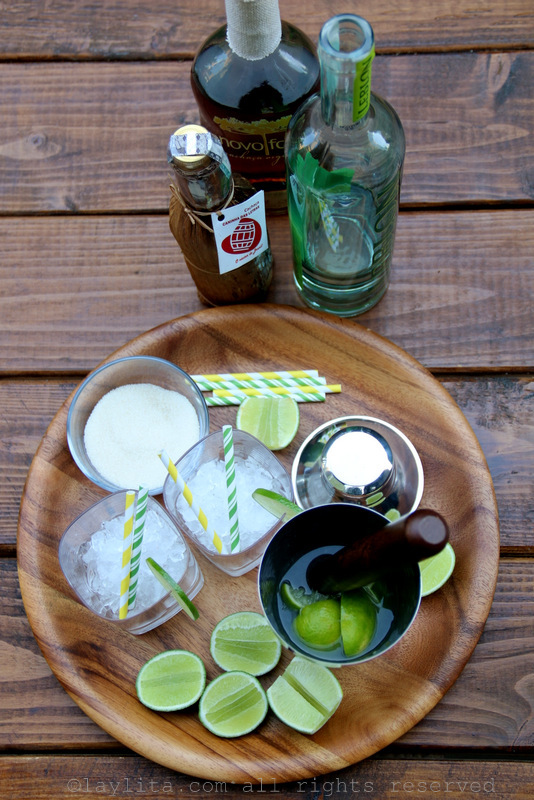 Now I use a combination of these pith-less halves and small long slices to make caipirinhas. Lu also told me that to make the caipirinhas extra refreshing you can add some additional lime juice to the drink when you are preparing it. 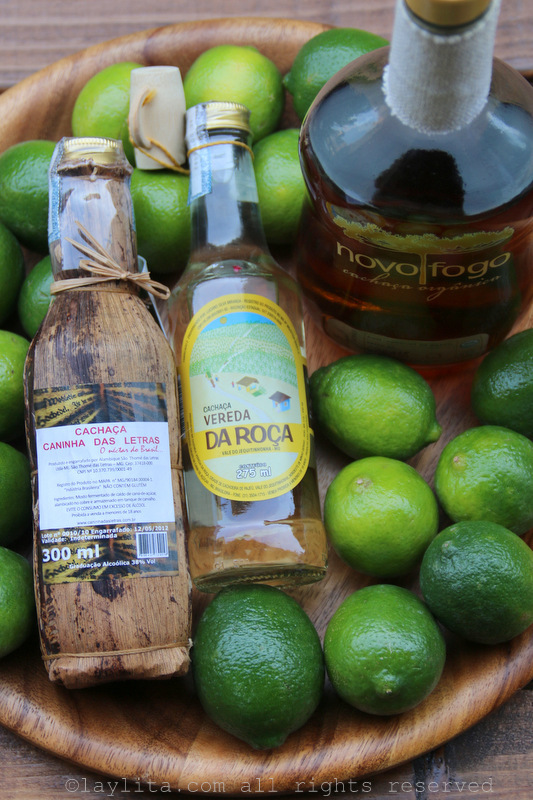 Most caipirinhas are usually made using white or clear cachaca, but you can also use aged dark/gold cachaca. The dark cachaca is aged in barrels and has a richer and more intense flavor. I’ve made caipinhas with aged cachaca and have to say that I really enjoy the taste even more than the regular caipirinhas. 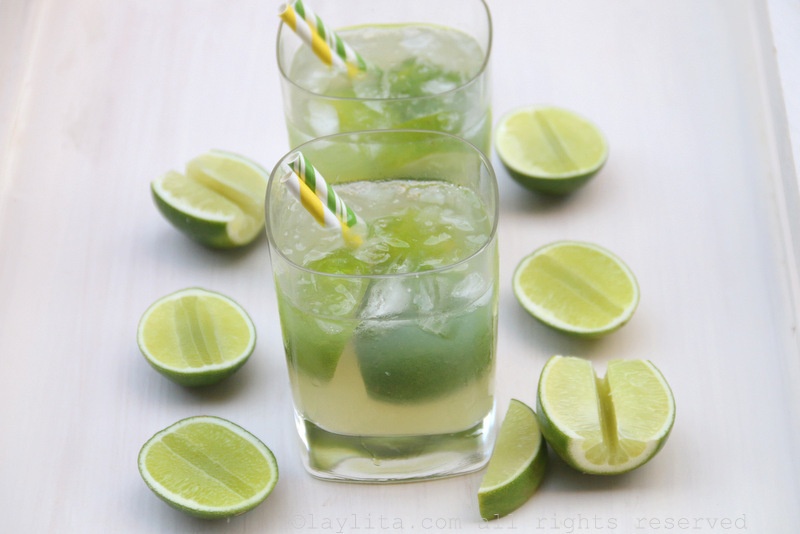 There are also many variations of the traditional caipirinha. Caipirinhas, like many other classic Latin cocktails, can also be prepared in fruity variations, these are called caipifruta. Some of my favorite caipifruta variations include those made with pineapple, passion fruit, strawberry, mango, kiwi, never mind, I just realized I like all the fruity caipirinhas. 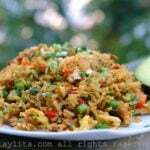 Excelente Laylita !! 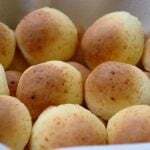 !, se ven deliciosos, que otras comidas nos recomiendas para cuando estemos en casa mirando los juegos con la familia?